The goal was to implement a local SEO strategy designed to drive more qualified traffic and increase new patient consultation requests. The client’s primary office is located in Asheville, a city with several orthodontist practices. Potential patients have a number of viable options to choose from, so maintaining a robust online presence is an absolute necessity. Build more awareness of their orthodontic practice in Asheville and surrounding communities (such as Brevard and Hendersonville). Drive more local traffic through higher rankings in major search engines. Increase the quantity and quality of leads (new patient requests) driven through the website. As we dove deeper into their previous efforts and conducted an audit of their website and content, we discovered that BRO had very limited control over their website and their content was extremely similar to a host of other orthodontic websites. A complete update of all content across the website was necessary in order to achieve the results that they were seeking for their practice. The first step in our solution involved an in-depth audit of the website and all of BRO’s content. Through careful research, we developed a list of all the content pages that needed to be updated and replaced. 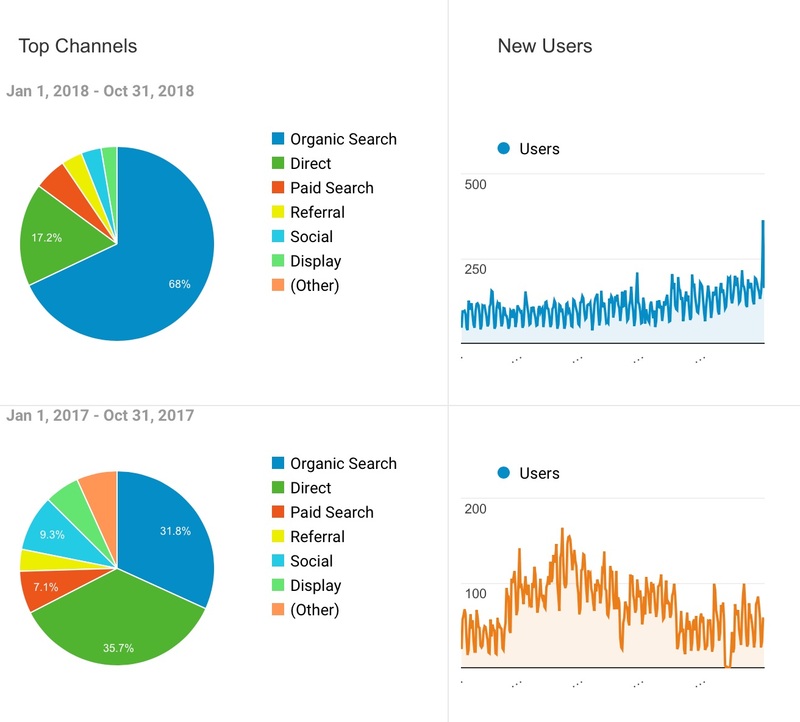 BRO wanted to drive more local traffic to their website, but our audit revealed a significant lack of comprehensive content created around their primary services and products. After performing keywords research and identifying core search topics, we created more comprehensive content pages designed to significantly boost BRO’s organic visibility in Western North Carolina and mapped out how they would be organized within a new website hierarchy. In addition to creating more comprehensive foundational content, we developed a content marketing strategy focused on attracting, educating, and capturing BRO’s target audience, while also enhancing the client’s already-established role as a industry leader in Western North Carolina. Blog posts and website content addressing the awareness stage of the patient’s journey, optimized for local search. Premium content, such as infographics, designed to increase awareness for specific products and generate new organic links back to the website. Outreach efforts, such as email marketing and specific press releases. Considering the complex nature of the client’s business, the content we created went through several rounds of editing in the beginning. However, as we learned more about the industry and BRO’s unique approach to orthodontistry, we developed a smooth writing/editing/publishing process. With consistent effort, execution and buy-in from BRO’s internal marketing team, we began to see impressive results. Our local SEO strategy has helped drive more organic traffic and patient requests through BRO’s new website. Organic traffic accounted for 67% of these online conversions.